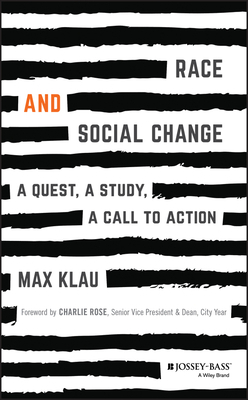 At a moment when our nation is once again bitterly divided around matters at the heart of American civic life, Race and Social Change: A Quest, A Study, A Call to Action seeks to push our collective journey forward with insights that promise to promote insight, understanding, and healing. MAX KLAU is the Chief Program Officer at the New Politics Leadership Academy, a non-profit dedicated to recruiting and developing alumni of long-term service programs--both military and civilian--to run for political office. Previously, he served as Vice President of Leadership Development at City Year, the Boston-based AmeriCorps program focused on addressing the nation's high school drop-out crisis. Max received his Doctorate of Education in Human Development and Psychology from the Harvard Graduate School of Education in 2005; where his studies focused on civic leadership education. An alumnus of four different service programs, he has completed two years of service in Israel and led service programs in Ghana, Honduras, and Ukraine. He serves on the board of the International Leadership Association, and his writings about leadership have been featured in Fast Company, Harvard Business Review, Huffington Post, and The Washington Post. He lives with his wife and two children in the suburbs of Boston, MA.